A Whole New Meaning To “Cash And Karey”! I want to thank GSROC for putting Cash (aka “Arco”) and me together! He is just flourishing!! He loves car rides, our looooooong walks, meeting new people, playing with his neighbor dog friends, finding the perfect hiding spot for his chew bone in the backyard, and just hanging with me! Everywhere we go, people comment on him and I tell them about GSROC! I am so happy and can’t thank you enough! 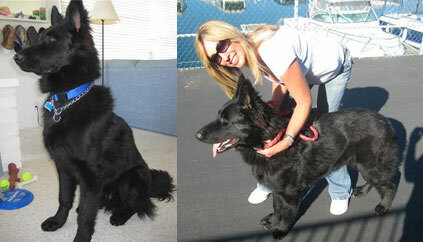 Here are a couple of photos of Cash – we look forward to seeing everyone at an event soon!